One question I hear all the time is “How many calories should I be eating a day?” It is far from easy to reply to this question, the reason being that there is a different response for each person. 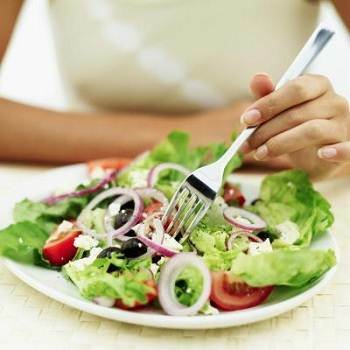 Nevertheless, your total daily calorie intake is the key to improving your body. Whether you’re looking to lose weight, gain weight, lose fat, build muscle, or even just maintain your current weight, calories are the most important factor. This article has one goal and one goal only: to help you figure out how many calories should you eat a day. Take your current body weight (in pounds), and multiply it by 14-16. For example, if you weight 150 pounds and you are happy with this weight, you need (15 x 150) approximately 2250 calories a day to maintain it. This is a very general starting point, because from these numbers we don’t know whether you are male or female, active or sedentary, young or older. It’s just an estimate. Most women (and people who are less active) should use the lower end of their estimate, and most men (and people who are more active) should use the higher end of their estimate. – For women, add 655 to the weight (pounds) times 4.35 and then add the height (inches) and multiply by 4.7, then subtract the age in years multiplied by 4.7. – For men, add 66 to the weight in pounds multiplied by 6.23 and add the height in inches times 12.7, then subtract your age in years times 6.8. The best way to lose weight is little by little, which could mean from half a pound to a pound weekly (0.22 kilos to about half a kilo). In order to lose weight (or more specifically, lose fat), you must eat fewer calories per day than your maintenance level amount. Ideal Daily Caloric Deficit: 20% below maintenance level. This means that whatever your daily calorie maintenance level is, you need to eat about 20% BELOW that amount per day. So, as an example, if you currently consume 2500 calories a day and never exercise, you’d first see that 20% of 2500 is 500. That means you’d need to eat 500 fewer calories per day, which in this example means you will need to cut your caloric intake down to about 2000 per day. How Many Calories to Build Muscle/Gain Weight? Men should gain weight at a rate of 0.5-1lb per week (2-4lbs per month). Women should gain weight at a rate of 0.25-0.5lbs per week (1-2lbs per month). Basically, weigh yourself once per week (first thing in the morning on an empty stomach) and keep track of it somewhere. Dependent on your goals, if you want to lose weight then subtract that number based on your daily calorie maintenance level by 250-500. If you want to gain weight then increase your calories to around 750 a day. So you will find the ideal daily calorie intake.